since end of last year carNAVi maps are available for smartphones. 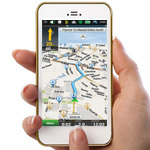 Navitel supports real offline navigation, there is no need for an Internet connection to use your smartphone as a navigator on the road. The app supports Android phones, Apple iPhone, some Blackberry devices and Windows Phone. You can test the app 7 days free of charge and get the unlimited version for only P1050. 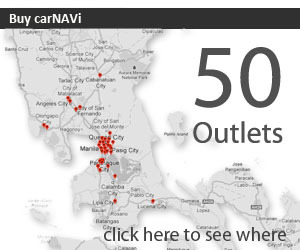 Navitel maps are available for 59 countries worldwide including the Philippines. Just browse our new Navitel map section to see what’s already available. Now you can use carNAVi maps with your smartphone or tablet. NAVITEL is a leading navigation solution provider for automotive usage and is truly multi-platform powerful turn-by-turn navigation with outstanding 3D graphics and real-time routing re-calculation. Worldwide more than 20 million driver are using NAVITEL. + No Internet connection required for the use of the program. + No additional expenses on roaming or dependency on mobile data. + Access to maps at any time: Maps are downloaded to the device. + Map subscription for a limited period or unlimited. To get NAVITEL for your smartphone just search ‘NAVITEL’ in the app store (play store) of your device (listed as NAVITEL NAVIGATOR) or select the software platform from the link below. 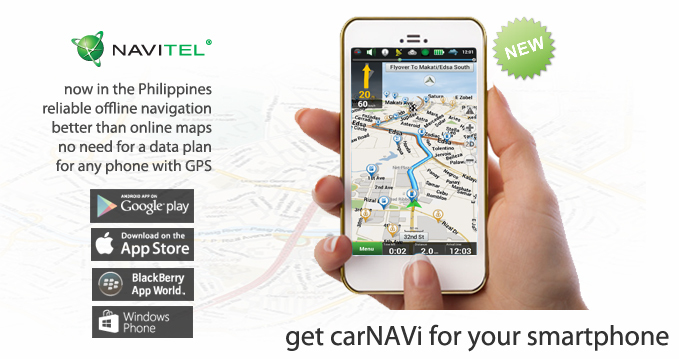 An unlimited version of Navitel is only around P1050 with lifetime free updates. Visit the carNAVi Store or follow this link for details. Note: This update is only for carNAVi devices. 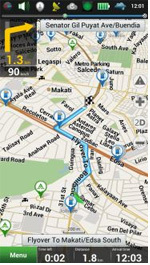 Navitel Navigator is a precise offline navigation with free geosocial services and detailed maps of 59 countries. Try popular navigation for 7 days free! Albania, Andorra, Armenia, Austria, Azerbaijan, Belarus, Belgium, Bosnia and Herzegovina, Brazil, Bulgaria, Croatia, Cyprus, Czech Republic, Denmark, Estonia, Finland, France, Georgia, Germany, Gibraltar, Greece, Hungary, Iceland, Isle of Man, Italy, Kazakhstan, Kyrgyzstan, Latvia, Liechtenstein, Lithuania, Luxembourg, Macedonia, Maldives, Malta, Mexico, Moldova, Monaco, Montenegro, Netherlands, Norway, Poland, Portugal, Philippines, Romania, Russia, San Marino, Serbia, Slovakia, Slovenia, Spain, Sweden, Switzerland, Tajikistan, Turkey, Ukraine, United Kingdom, Uzbekistan, Vatican. If you don’t have an app store account, you can purchase a license at the carNAVi Store as well.